Summer Is Coming - And So Is Shakespeare Camp! And Shakespeare Camp For Kids! This July, ISC presents the most popular of Shakespeare's plays in his own time, together with his most popular play today. 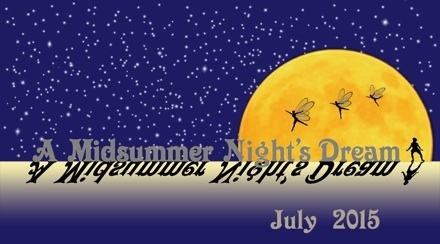 Two of Shakespeare's most phenomenally entertaining plays, coming to Cornell Plantations this July — it's a pairing not to be missed! 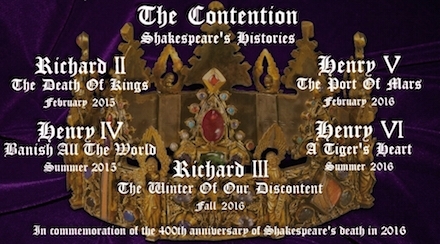 The second production in our epic series of Shakespeare's history plays continues the story begun in Richard II. 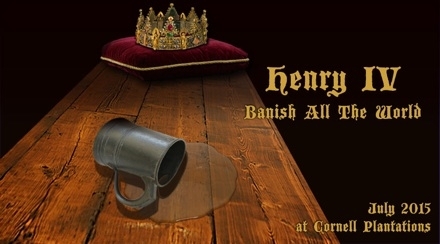 This production will combine material from Henry IV Parts 1 and 2, and will once again start with a brief introduction to catch you up on the story and introduce the main characters. Don't miss these two incredibly entertaining plays in the beautiful Arboretum at Cornell Plantations! And do you have a young Shakespearean in the family? Give them a chance to learn and perform on the ISC stage this summer! In this week-long training program for ages 8-13, professional actor and teacher Theo Black will lead your kids through an exciting exploration of what it's like to perform Shakespeare live! 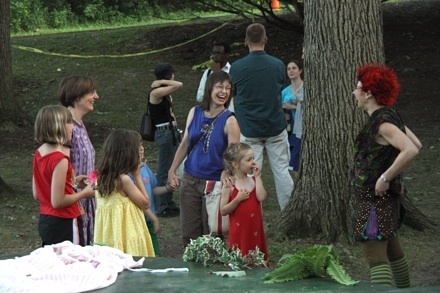 And the best part is: at the end of the class, your kids will get to perform a selection of interwoven Shakespearean scenes on the ISC stage at Cornell Plantations, in front of the ISC's audience, at the opening night of ISC's production of A Midsummer Night's Dream! Give your kids a chance to experience Shakespeare as a living, breathing art form, completely relevant to our lives today, meant to be performed on stage in front of an audience. 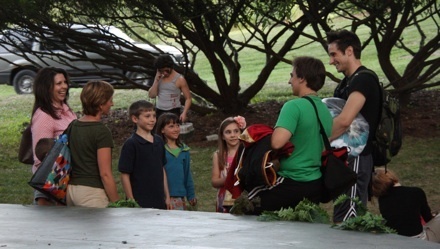 ISC actors are always besieged by kids after a show. Let your kids become part of the excitement! To sign up: E-mail the instructor to reserve a spot for your child. Space is limited! Please note: We need to have a minimum number of students enrolled in order to run the camp. If not enough people sign up, the camp may be cancelled. So spread the word! If you have questions, please e-mail the instructor, Theo Black, at coachtheoblack@gmail.com. Many thanks to everyone who braved the cold and snow to come see Richard II in February.